12 - 2oz. bottles. 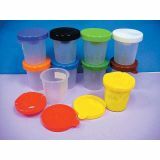 Mix product and dispense in a even bead. 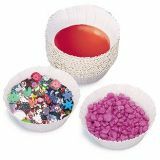 Use with paint, glue, glaze and much more. Stretch this bungee cord over 30 feet across a room & let it all hang out. 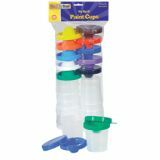 Includes 25 plastic coated spring clips "for a better grip". Assorted colors. 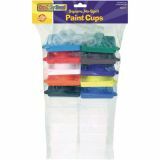 Great for dispensing paints, glue or small craft supplies in classrooms or for mixing colors. They're sturdy during use and disposable when you're finished. 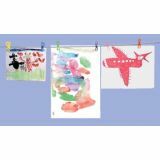 They can also be used in a craft project. 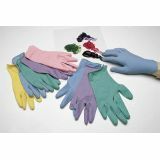 Brightly colored, easy to use latex gloves. 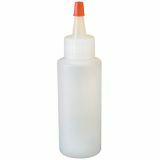 Excellent for painting, gluing and other craft projects. Keeps hands clean and prevents the spread of germs. Easy clean-up for messy projects. Art smock is made of EVA fabric in vintage orange. Features a large storage pocket in front. One size only. Fits ages 3-8. Smock is lead and phthalates free. 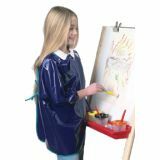 Art apron has long sleeves for better coverage and is made of EVA fabric. Blue in color with double ties in back. Lightweight. 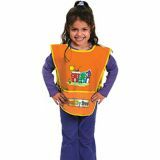 Fits children ages 3-10. Lead and phthalates free. 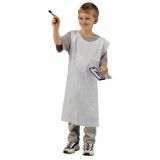 Child size plastic aprons with back tie to protect clothes from wet, messy media. Box of 100.